Explore a new and exciting world with our collection of games like SmallWorlds which features free, online and popular virtual world games. 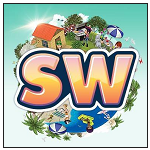 SmallWorlds is a very popular online experience that has been online since 2008, choosing to target the older teenage audience as opposed to tweens and children like other games. The game blends elements from similar virtual worlds and the genre in general to create a mixture of MMO, social gaming, social network and even virtual reality with integration of other popular platforms. In SmallWorlds players have the opportunity to create almost anything that they desire. Chase your wildest dreams in SmallWorlds, customise your personal avatar, decorate that dream home and complete movie inspired missions. With a community in the millions SmallWorlds is also one of the most active virtual worlds for teenagers around so there are always new friends to be found. In these games like SmallWorlds featured here you can expect a similar virtual world experience with avatars, games and customisation. The games below focus on free to play games and games that do not require a download meaning you can play them directly in your browser.